Recently I was struck by a random idea that I knew I had to follow through on. 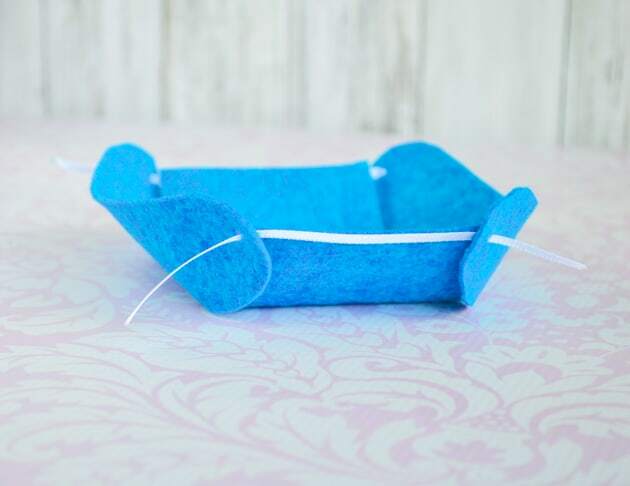 Lots of paper sketches and scraps later, I came up with a super easy pattern to make your own folding felt bins. 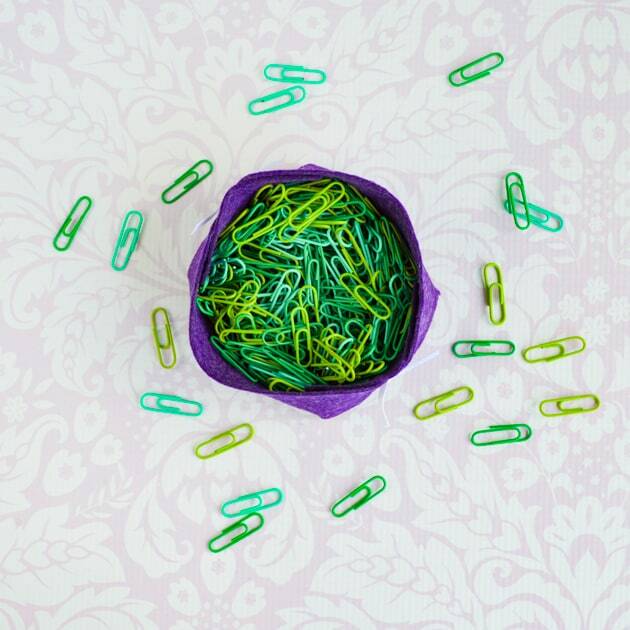 They’re great as little desk organizers, a place to drop your keys, or just a fun accessory around the house! 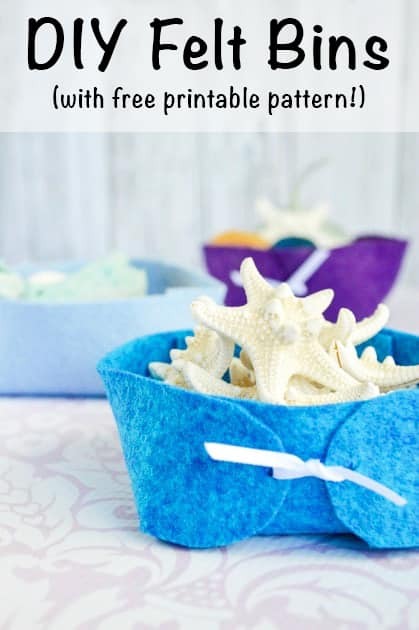 Even though I demonstrated making the bins with felt for this tutorial, they also work with cardstock or even watercolor paper. How cool would watercolor bins look on your desk? 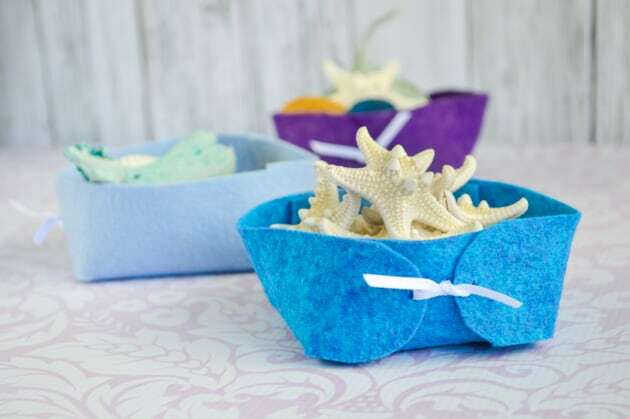 No matter what you decide to use them for, these bins are way super quick and easy. 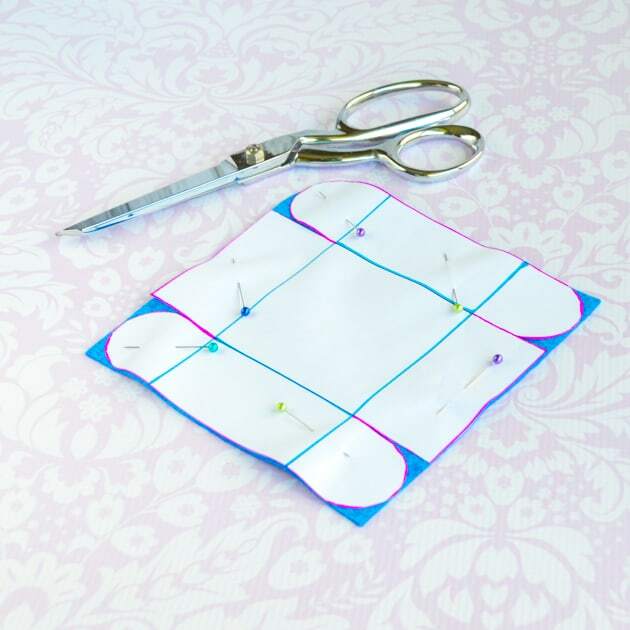 Once you get the pattern cut out the first time, you should be able to make one in under 5 minutes. Pretty cool, huh? 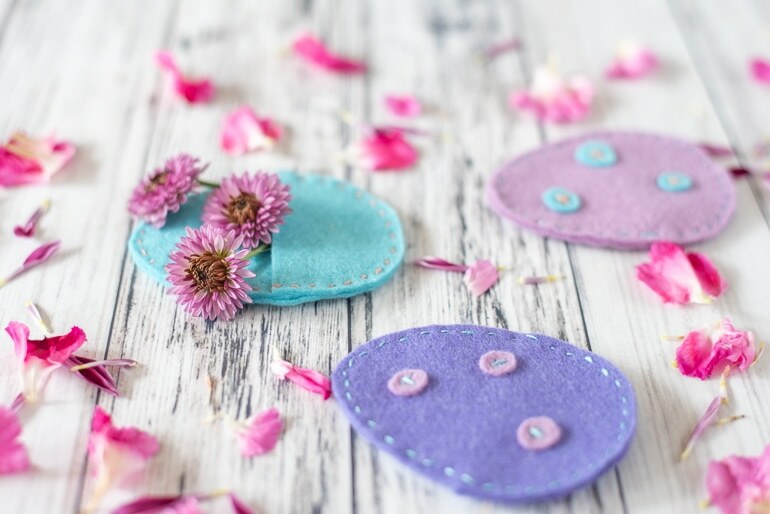 As mentioned above, this tutorial shows felt, but you can use scrapbook paper, cardstock, watercolor paper, leather, or whatever else makes you happy. I left the crease lines on the downloadable paper pattern so you know where to make your folds if you’re not using felt. When using my pattern un-scaled, your bins should be about 3″ across and have sides about 1.5″ tall. You can simply scale the sheet when you print it if you’d like to change up the size. 1. Print out the bin pattern. 2. 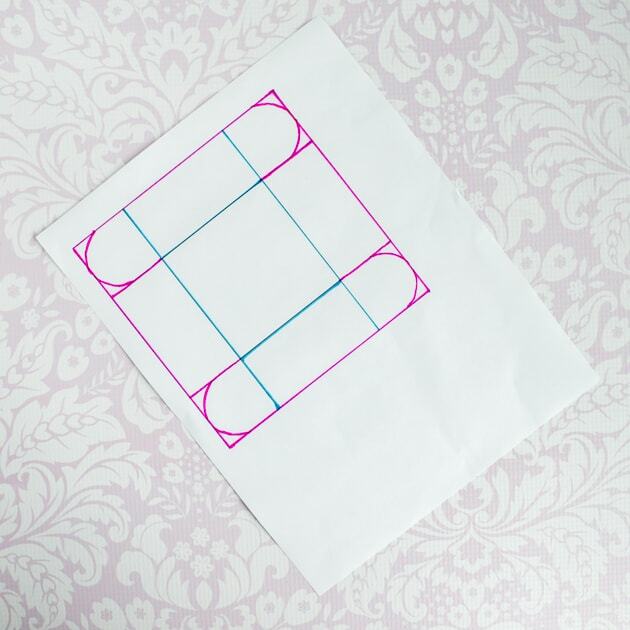 Cut your pattern along the lines marked with the pink marker in the photo below. (Your print out is black and white – I added colored lines on my copy instead of the digital version to save you some ink!). I find it easiest to cut out the whole square, then the four slits in to make the tabs, and finally the curved end portions. If you don’t feel comfortable cutting the curves, just leave the ends square. 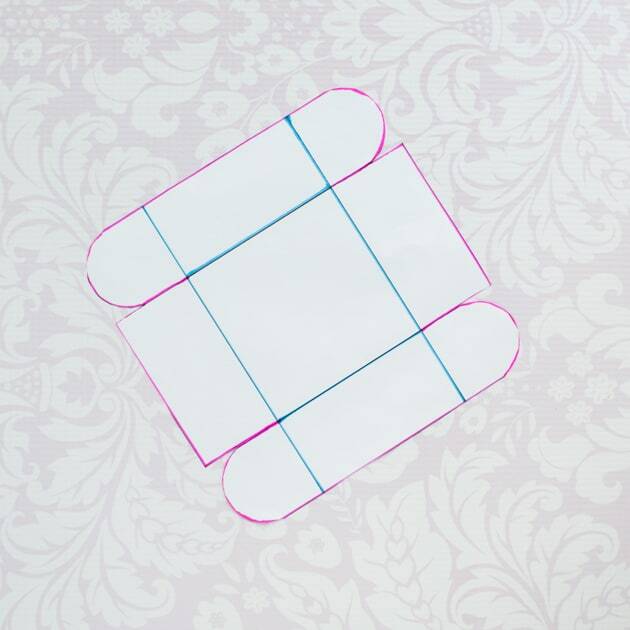 The blue lines show where you’d fold the finished box if making it from scrapbook paper, cardstock, etc. and can be ignored if you’re working with felt. 3. 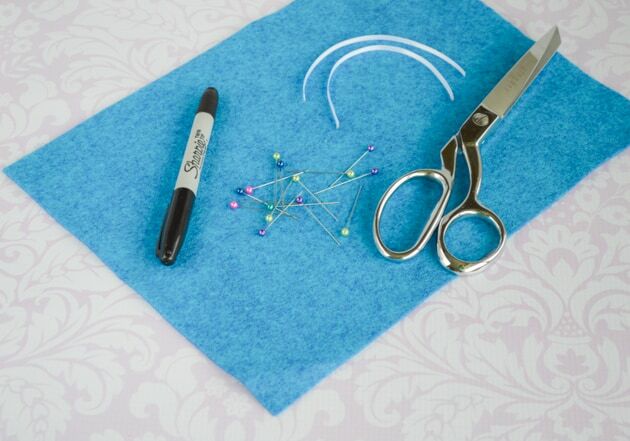 Place your pattern on your felt and either trace it with a permanent marker or pin it in place like a regular sewing pattern and cut the design out. Once again, I think cutting the square, slits, then tabs is easiest. 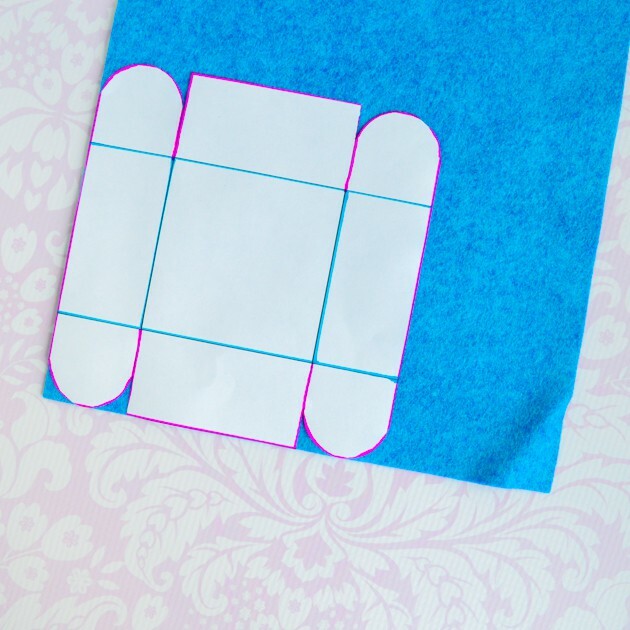 If your felt has a nice square corner, just line the pattern up as shown and save yourself a few cuts! 4. 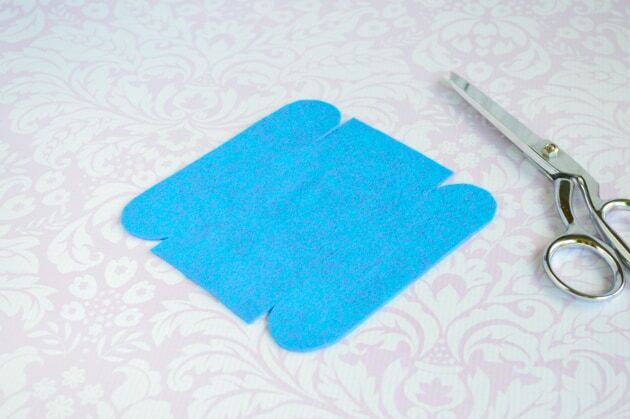 Use your scissors to snip a small hole at the end of each tab. 5. Now it’s time to thread your ribbons! Tuck one of the rectangular tabs to the “inside” and then thread one end of a ribbon piece through the hole in one of the neighboring round tabs. Thread the ribbon from “inside” to “outside” and repeat with the other end of the ribbon and the hole in the opposite tab. It’s difficult to explain in words, but very easy to do – just look at the photo below! 6. Repeat step #5 with the other side of the bin. 7. Tighten the ribbons down until tabs are touching and then secure them. I like to use a square knot, but you could use a bow. Trim away extra ribbon, if you’d like. 8. Enjoy using your awesome new bin! I can think of a lot of fun uses for these little guys. What will you use them for? 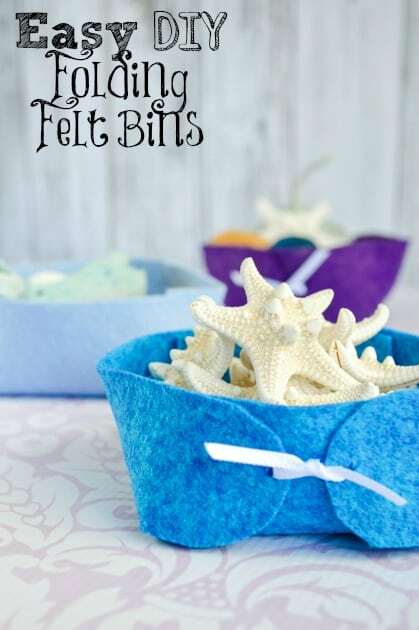 The felt bin pattern is located in the member’s Resource Library. 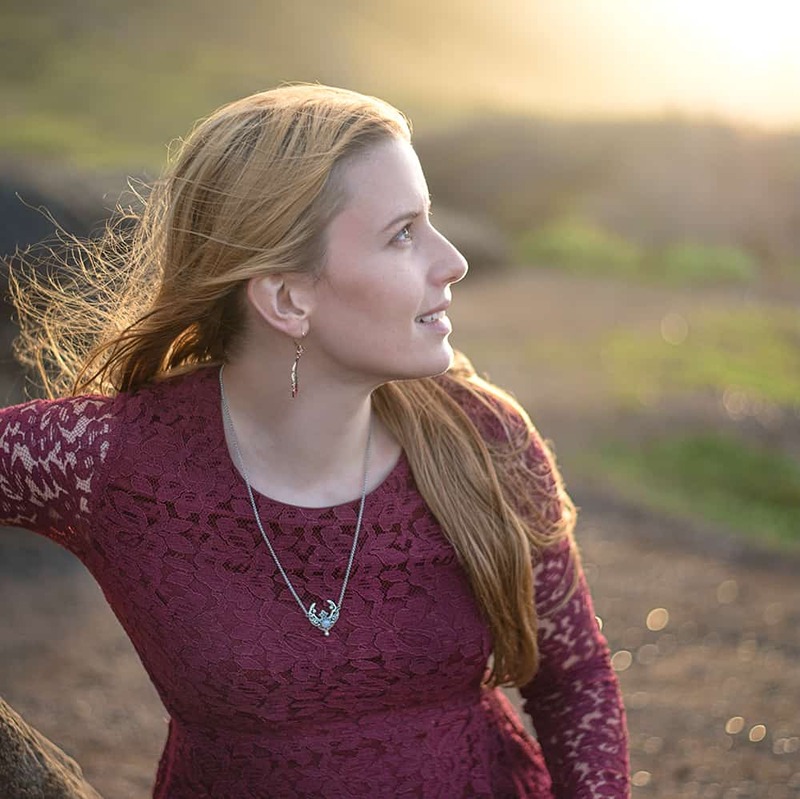 If you already have a password, head on over and put it in! Remember to pin this DIY felt bin tutorial to your favorite board now so you don’t lose track of it! 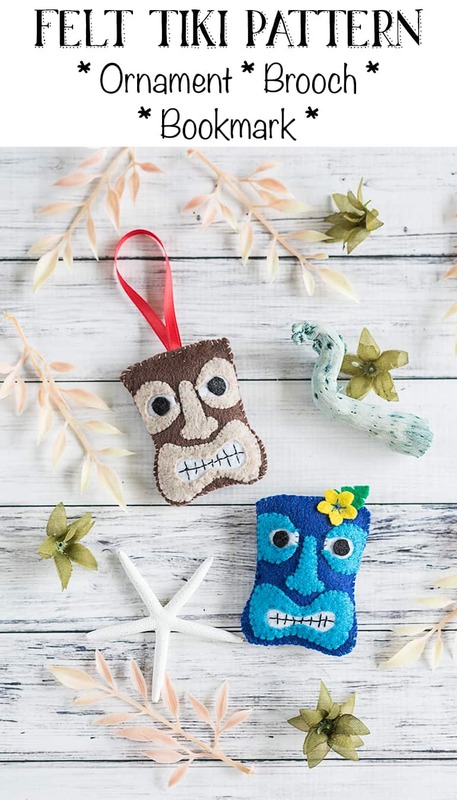 How cute and easy to make! I have a problem with my bobby pins disappearing, so I’d use it as a little “home” for them after they come out of my hair. Hahaha. 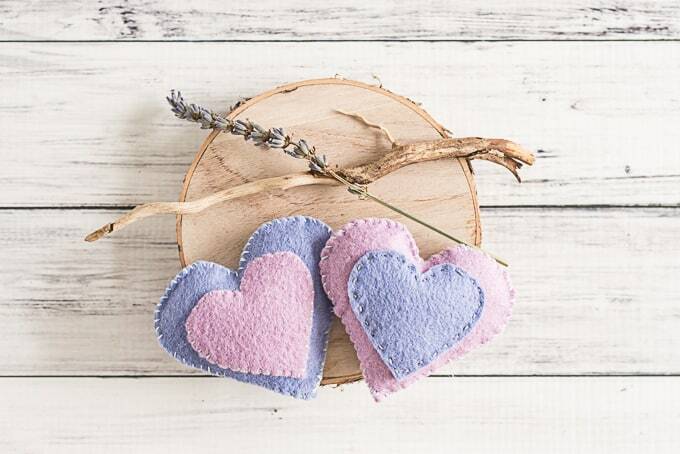 I like Judy’s idea of making them with a few layers of fabric. 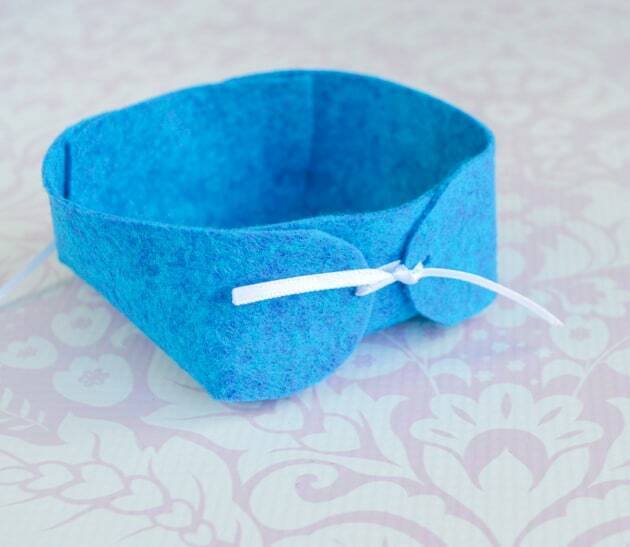 I have so many scraps now and these would be perfect for some of them! I bet you have lots of cool scraps at home right now! Bobby pins have some sort of special disappearing ability because I can never find them again, either.